We’re always looking for new team members to help us provide sustainable, beautiful and fresh flower arrangements. We are always looking to expand our network. 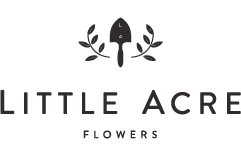 Please email us at info (at) littleacreflowers.com if you are interested in learning more about current and future opportunities.